The five-year-marriage of Mrs Musilimat Olasuyi and her husband, Oluwagbemiga, is on the brink of collapse. Muilimat told an Igando Customary Court in Lagos that her husband, Oluwagbemiga, permitted another man to sleep with her in their matrimonial home. The 48-year-old trader told the court on Monday that the man made love to her in her matrimonial home with her husband’s approval. “It was not my fault. “I did not voluntarily submit myself but the man in question charmed me to make love to me with my husband’s agreement all because of his selfish ambition,” she said. 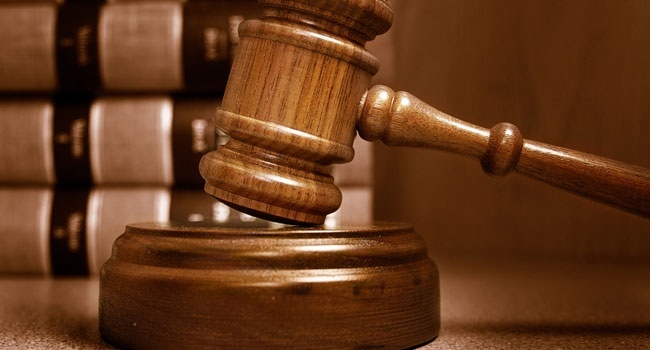 The petitioner said that her husband threw her belongings out of her matrimonial home during her absence during which the money (over 800,000 Naira) she kept inside her different boxes were stolen. Musilimat submitted a written petition to the court seeking redress and judicial actions against her husband. She pleaded with the court to dissolve the union saying that she no longer loves her husband. However, the petitioner’s husband, Oluwagbemiga, accused his wife of infidelity. The 55-year-old sand supplier also said that his wife was fetish. "I gave her a quit notice to leave my house; she told me to do my worse that she was going nowhere. "So, I do not have any other option than to pack her things out from my house,” he said. The respondent consented to the dissolution of marriage, saying the love between the two of them had long faded. Responding to Musilimat’s petition, the court’s president, Akin Akinniyi, said that it was wrong in a valid marriage for a husband to pack out his wife’s belongings from their matrimonial home. "It is legally wrong for a man to throw out his wife’s property. "The respondent should have requested for the return of the dowry he paid on the wife from the wife’s parents. "Better still, he should have sought the dissolution of the marriage at the court of law before such an action could take place. "The husband will be responsible for any cost of missing valuables and the wife is entitled to compensation," he said. Akinniyi urged the estranged couple to maintain peace and adjourned the case until April 26 for judgment.